In what I think is both shocking and awesomely amazing, Disney is about to release a new retro MagicBand based on the 1982 movie Tron. I find it shocking because Tron is considered to be a somewhat older obscure movie that Disney doesn’t often recognize with merchandise (especially in the theme parks), so I’m surprised that they made this. 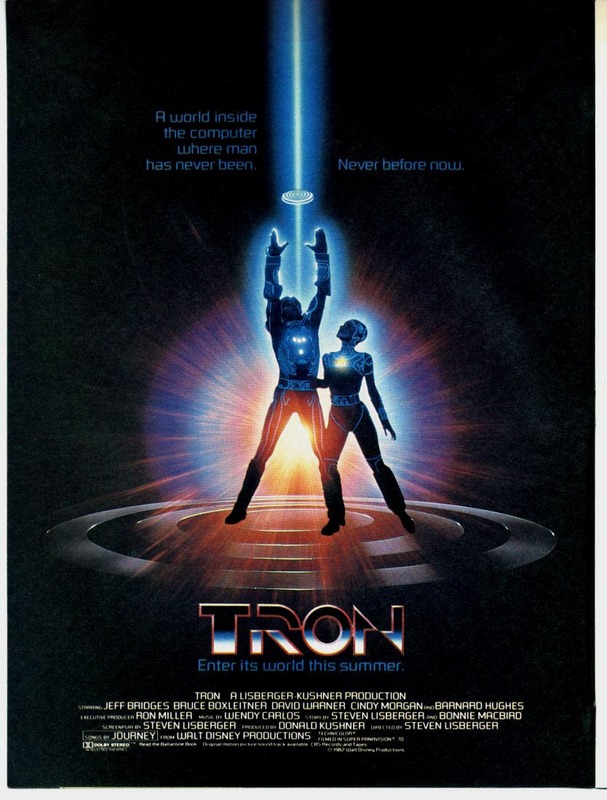 The band features Kevin Flynn as seen on the movie poster below on one side of the band, and the Tron logo on the other side. The base color of the band will be blue. Tron and Tron: Legacy are two of my all-time favorite Disney movies, so I am super excited to get this and will wear it constantly. Rumors have been floating this past week that a third Tron movie is potentially in the making, but this band is not associated with that in any way and the timing of its release is probably a coincidence. Update: It appears this band is indeed a Limited Release band at $27.99 and may be exclusive to the Shop Disney Parks app only. I’ll find out more soon. 7 Responses to "A new MagicBand from the 1982 Disney film Tron will be out shortly"
Wow, that is a weird one. There has been some recent talk about Disney rebooting it again. This just made my 12 year olds year!! He’s always asking why there is no Tron merchandise and why no one likes Tron. I had to make a Tron costume for him myself for MNSSHP last year lol! Man, skip TRON and someone get working on the Emperor’s New Groove Magic Band. I could use some Kronk and Yzma. The Tron MB2 is now available in the Shop Disney Parks mobile app for $27.99.